Defective equipment can cause many kinds of serious swimming pool injuries, including death by drowning and other causes. Faulty gate latches and defective pool alarms can lead to accidental drownings; exploding pool filters can cause serious injuries; and defective pool drains can create such powerful suction that swimmers of all ages and abilities suffer serious internal injuries, brain damage, and even death. Most swimming pool injuries are preventable, but the manufacturers of pool equipment frequently fail to make simple design changes that could save lives and prevent injuries. If you or a loved one has suffered a swimming pool injury or death due to the negligence of a pool equipment manufacturer, you may be able to recover your medical expenses, lost wages, pain and suffering, and other damages. Attorney Frank L. Branson has successfully handled lawsuits related to swimming pool injuries. His use of cutting-edge video and multi-media technology to build demonstrative evidence allows jurors to see and hear exactly what happened in a swimming pool injury. 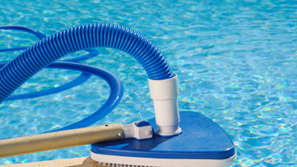 To learn more about our experience in swimming pool equipment injury related matters, we invite you to contact the firm here.